Willy Brandt (1913-1992) – German statesman and politician. Willy Brandt was a German left-wing politician who fled Nazi persecution in 1933. After the Second World War, he became an influential Mayor of West Berlin, during a critical period of the Cold War. After becoming Chancellor of West Germany in 1969, he pursued a policy of Ostpolitik – seeking rapprochement with the East and forging for Germany closer ties with the rest of Europe. He was awarded the Nobel Peace Prize in 1971 and lived to see Germany reunited in 1990. 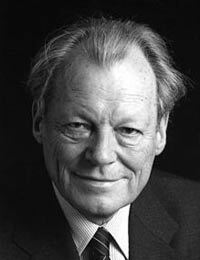 Willy Brandt was born Herbert Ernst Carl Frahm in Lubeck, 18 December 1913. He never met his father, but was brought up by his Mother and other relatives. During the time of the Great Depression, Brandt became radicalised by politics. In particular, his grandfather – a passionate member of the SDP encouraged Brandt’s left-wing political convictions. Brandt joined the Social Democratic Party in 1929, but a year later left the SPD to join the more left-wing (but Non-Communist) Socialist Workers Party (SAP). Brandt was disgusted with the SDP’s compromises and attempts to accommodate the growing power of the Nazi party. The early 1930s was a time of great political polarisation in Germany. With unemployment rising to 6 million, the electorate increasingly turned to the charismatic fascist leader Adolf Hitler. The Socialist Workers Party remained a small electoral force, but Brandt became a committed activist. After finishing his final exams (Abitur) in 1932 began work as an apprentice at a shipbroker in Lubeck. In 1933, Hitler and the Nazi party became the largest political party and began to assume full dictatorial power. The Nazi’s almost immediately began rounding up their political opponents. Fearing for this safety, and being pursued by the Gestapo, Brandt used his connections at the port of Lubeck to escape to Norway. It was during his escape that he first took the pseudonym Willy Brandt. In Norway, he continued his pursuit of Socialist ideals. In 1934, he took a key part in the founding of the idealistic and Socialist – International Bureau of Revolutionary Youth Organizations. During the Spanish civil war of 1936-37, Brandy went to Spain where he worked as a journalist. During the civil war, he hoped to see a united left opposition to Fascism, but his experience left him disillusioned with the Soviet-backed Communists, who were as concerned to gain control of the left as they were of defeating Fascism. 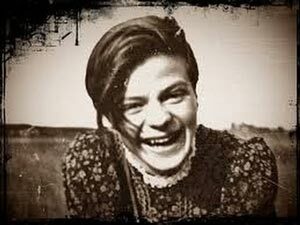 It was a similar experience to George Orwell’s Spanish civil war) For a brief time, in 1936, he returned to Germany, disguised as a Norwegian student in an attempt to support the German underground and opposition to the Nazis. In 1938, his German citizenship was revoked by the German government. In 1940, Germany invaded Norway and Brandt was arrested wearing a Norwegian uniform. Brandt was not recognised as a German political activist and was treated like a Norwegian prisoner. He was released by the German authorities, but fearing his real identity may be discovered, he escaped to neutral Sweden. In Sweden he successfully applied for Norwegian citizenship, receiving it from the Norwegian embassy in Stockholm. During the war, he worked a college lecturer, speaking about the difficulties faced by occupied countries and those resisting the Nazis. He learnt to speak Swedish and Norwegian fluently. He also wrote several books. In 1946, Brandt returned to Germany. He served as a Norwegian correspondent at the war crimes tribunal in Nuremberg. He wrote on the Nuremberg trials. He became a German citizen again in 1948 and joined the Social Democratic Party of Germany (SPD) Brandt rose through the ranks of the Social Democratic party, he benefited from being unsullied by any experience of fighting on behalf of the German army or working with the Nazi’s. His socialist beliefs had also never been sympathetic to Soviet Communism. In 1957, he was elected to the post of Mayor of West Berlin. A position he held until 1966. This was an influential position, during a period of great Cold War tension. Brandt proved a strong critic of Soviet policy, speaking against the Communist takeover in Czechoslovakia and Soviet repression of the 1956 Hungarian Revolution. He also opposed Kruschev’s idea in 1958, to ‘free’ Berlin. In 1958, he rose to international fame by travelling all-round the world in order to attract support for Berlin. On domestic issues, Brandt oversaw the continued redevelopment of modern Berlin, including a rapid building of houses and road links around the city. Brandt’s profile was highlighted when in 1961, he was invited by J.F. Kennedy to the White House – a month before the German Chancellor – Konrad Adenauer. Kennedy hoped Brandt would become the next German chancellor. However, in 1961, the building of the Berlin Wall by the Soviets strained tensions between Brandt and Kennedy. Although Kennedy disproved of the Soviet’s building the Berlin Wall, he was unwilling to take any direct action to prevent it. Brandt criticised Kennedy’s lack of action. In 1961, Brandt stood for the Chancellorship but lost out to Konrad Adenauer. In 1964, Brandt was chosen as the Chairman of the SPD. A position he held until 1987. In 1966, Brandt became German Foreign Minister, as part of a coalition deal between the SPD and CDU. In 1969, the SPD gained a bigger share of the vote in the general elections, allowing Brandt to become the Chancellor of an SPD dominant coalition with the smaller FDP. A key feature of Brandt’s premiership was his foreign policy of ‘Ostpolitik’ (New Eastern Policy). Brandt sought to defuse tension and achieve a degree of rapprochement with East Germany, Eastern European countries and the Soviet Union. On the same day, he signed the Treaty of Warsaw which acknowledged the final German border with Poland. – Another controversial decision in Germany. His act at the Warsaw memorial was controversial at home – support for his action being split. It was used against Brandt in a Constructive Vote of No Confidence in 1972, he narrowly survived. If divisive in Germany, his policies of Ostpolitik were more popular abroad. They had an influence on American foreign policy, with Nixon and Henry Kissinger also pursuing a degree of détente after Brandt’s example. In 1970, Time magazine named Brandt as Man of the Year. His policy of détente and reconciliation contributed to being awarded the Nobel Peace Prize in 1971. Mr. Brandt also increased West Germany’s involvement in the European Common Market – broadening the community to include Britain, Denmark and Ireland. In 1973, West Germany was also able to enter the United Nations. On the domestic front, Brandt proved a unifying figure. His history of opposing both Nazism and standing up to Communism gave him a broad base of support and credibility. 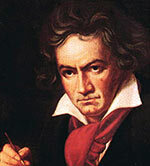 He also managed to share a zeal for reform and acceptance of democracy. During his time in office, Brandt increased government spending on education, transportation, social welfare and housing drastically. By the end of his premiership, Germany had one of the most extensive welfare systems in the world. This increase in welfare spending was made possible by the continued strength and growth of the German economy. During his period of office, the German economy managed an enviable combination of low inflation, high productivity growth and rising living standards. This appealed to those young activists who wanted more openness and accountability in German society. Despite opposition from within Germany to his Ostpolitik, in 1972, Brandt led the SPD to its best ever election results (46% of the vote) on a wave of popular reform. However, despite a strong showing in the election, Brandt’s power was limited by the oil crisis of 1973. Also, his personal life was reputed to have increasing difficulties, with allegations of affairs and difficulties with alcoholism and depression. In 1974, he was forced to resign after it was proved that one of his closest aides, Gunter Guillaume, was actually a Stasi, spy for the East German state. Given Brandt’s controversial Ostpolitik, this was a devastating blow. He resigned, though he said, the spy scandal was one factor of many. After ending his chancellorship, Brandt retained his seat in the Bundestag. 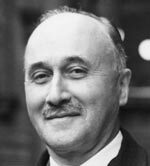 He remained chairman of the Social Democratic Party until 1987. He was also a member of the European Parliament from 1979 to 1983. In 1977, he headed an Independent Commission for International Development issues. They produced the Brandt report which called for drastic changes in the West’s policies to the developing world. Brandt also remained a key figure in the Socialist International which sought to resolve conflicts in the Middle East and thaw East-West relations. Brandt played a role in the reunification of Germany. Firstly through his Ostpolitik, which helped reduce the distance between East and West. Also, he supported the East German dissident – Rudolf Bahro. A political activist jailed for proposing left-wing opposition to the ruling East German Socialist party. In 1989, Brandt was an influential voice in calling for quick and total reunification – rather than a two-step process. In 1989, the statement was widely quoted. 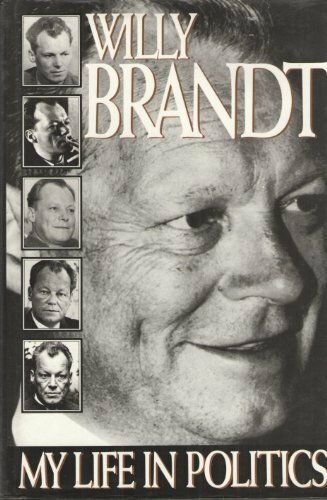 Shortly after German reunification, Brandt died from colon cancer on 8 October 1992 in Unkel.